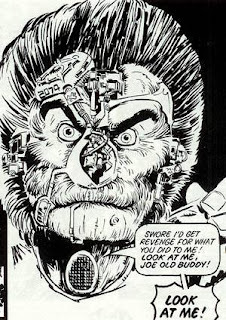 Henry Flint - Dredd in a Tight 'Un! Poor Joe has had yet another good kicking on the cover of Prog 1866, this time from 'The Big Man' herself, Low Life bad gal, Aimee Nixon! For those who are a little in the dark, Aimee was a Wally Squad Judge in the Low Life, the baddest, meanest part of the Big Meg. Recently, the Yakuza initiated a hostile takeover of the Low Life, using information and contacts from the mysterious 'Big Man' in the Meg to gain a foothold. In a bloody battle, Aimee had her arm sliced off and was kidnapped by the Japanese criminals. 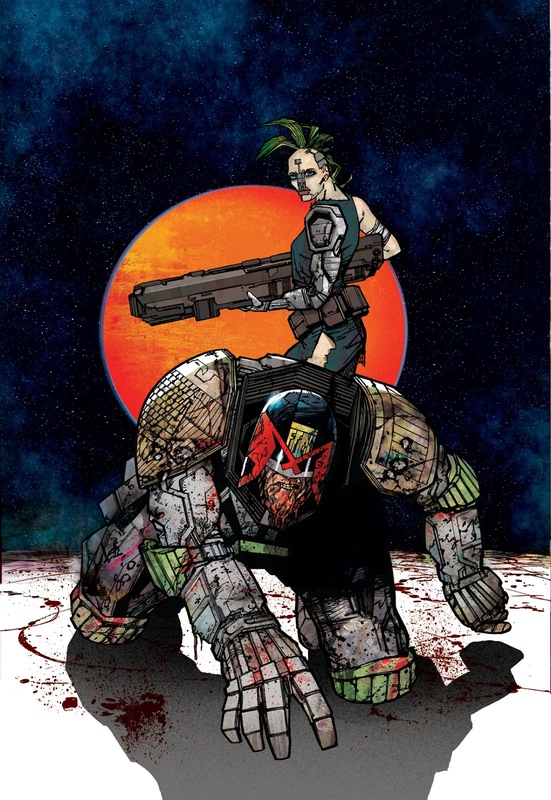 Wally Squad Judge Dirty Frank went on a suicide mission to Hondo City to find his friend and former colleague. However, when he did, he discovered that Aimee had been the 'Big Man' all along and had sold out his beloved city to the Yakuza. Finally, here's what the design droids did with the image, nice! Clint Langley - What does the Bot Say? 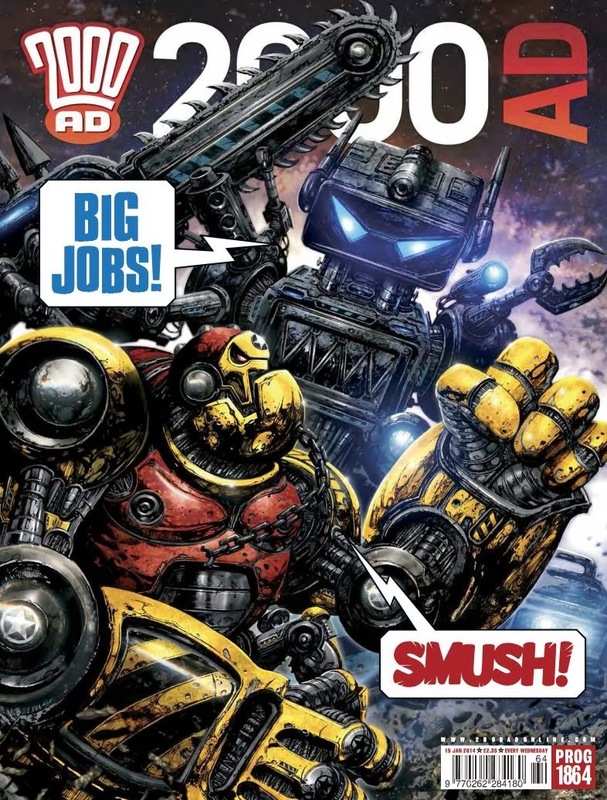 BIG JOBS! 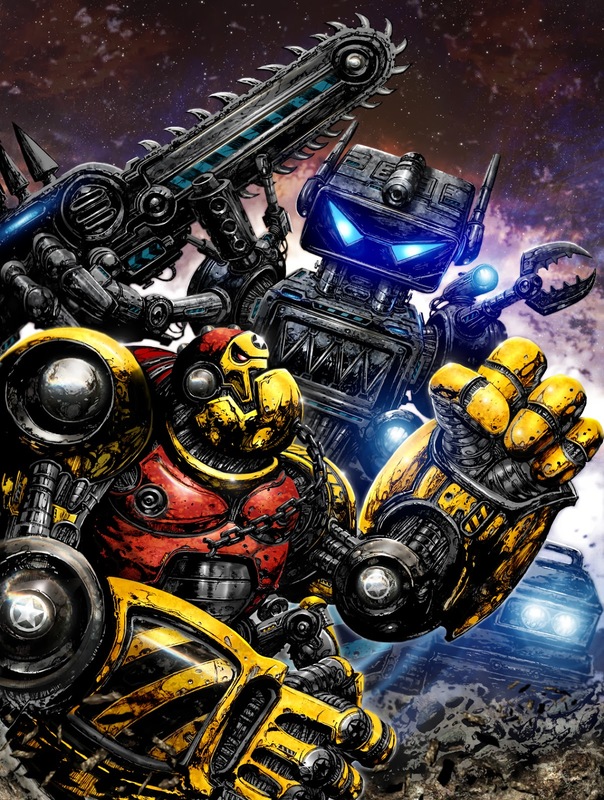 It's bot on bot action on this stunning cover by the mighty Clint Langley. 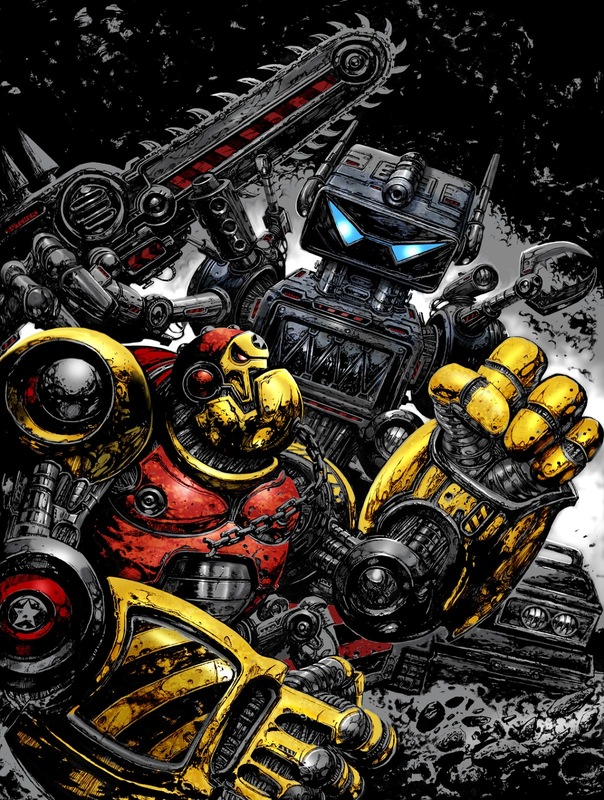 The Langley droid is absolutely knocking to out of the park in the prog at the minute, with artwork that evokes memories of classic Bisley and Walker's stints of the Warriors, mixed with his own inimitable style. 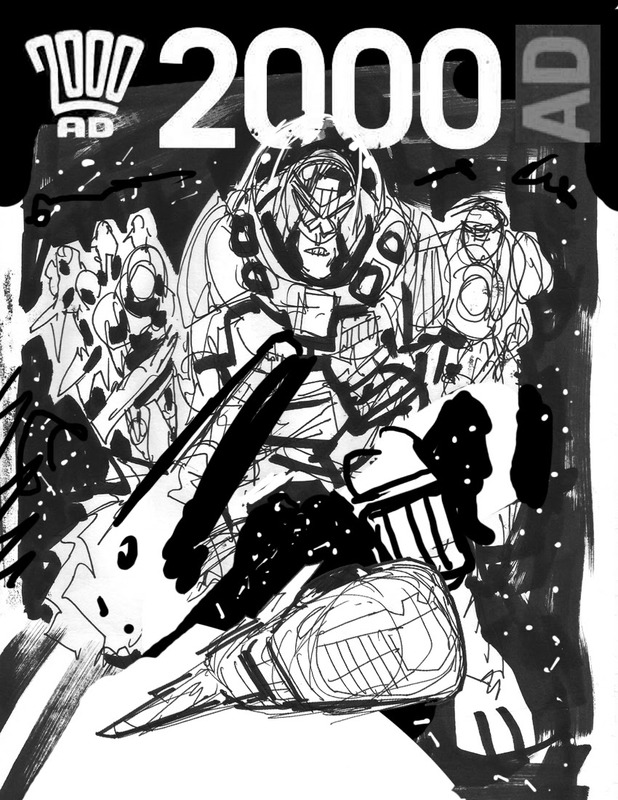 The subtle blend of digital with black and white inks is genius, I can't wait to see this one collected. This cover of this one is somewhat misleading, where the action on the image doesn't quite reflect what happens in the prog. 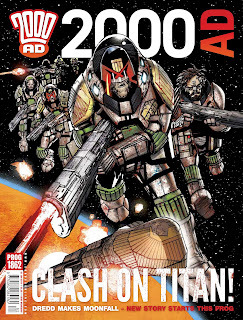 However, I don't have a problem with it when it's as Zarjaz as this! And here is the cover with initial colours, lovely! 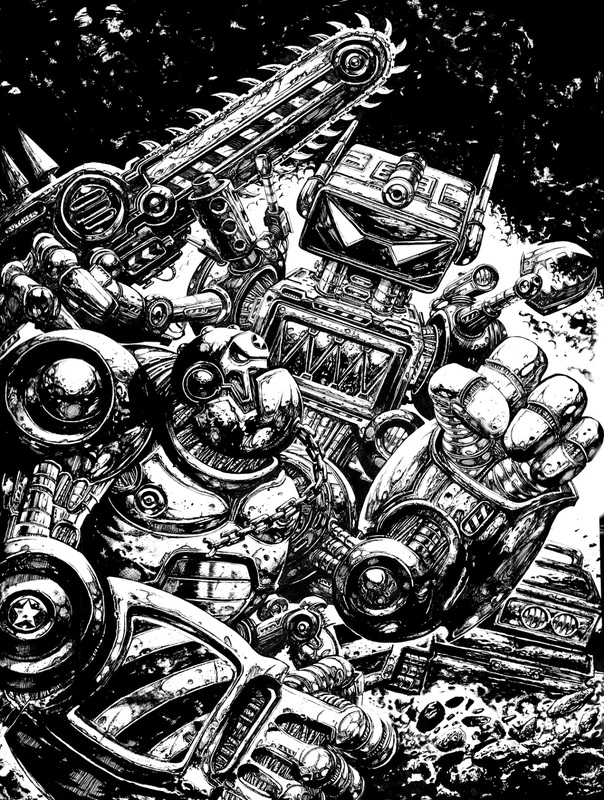 Mongrol and Mek-Quake play Rock, Paper, Chainsaw! And here's the final image with a smattering of Clint's signature digital effects. Absolutely smushing! Finally, here's how the prog looked on the shelves, a treat for those who like speech bubbles on their prog! A typical conversation in the ABC Warriors house. Huge, ABC Warrior sized thanks to Clint for sending these images. We've had some stunning covers in 2014 already and I'm sure this is going to be up there with the best! See more of Clint's work at his site here and his Facebook page here! Welcome to the first post of 2014 and who better to kick us off than the Magnificent Henry Flint? 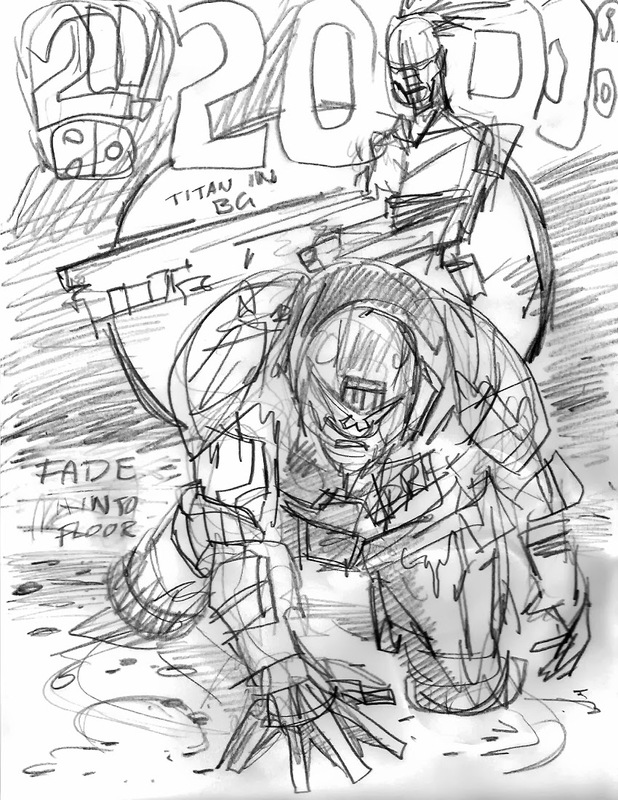 The artist is delivering the goods on the first major Dredd story of the year, the eight part Titan! 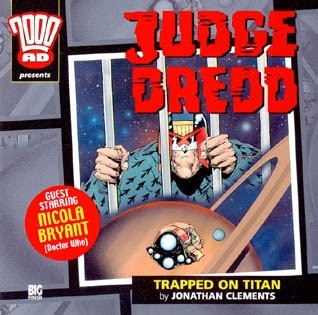 Dredd fans will be aware that Titan, the sixth moon of Saturn, houses a penal colony for the very worst of the worst... bent judges. 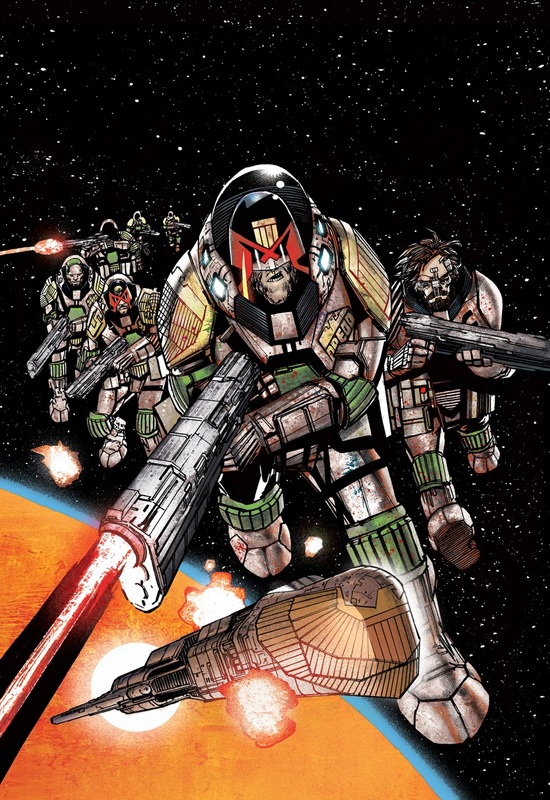 Notable inmates have included Judge Grice, who led an inmate revolt in Purgatory, Ex-Chief Judge Sinfield and, of course, Rico Dredd. "You're damn right I'm dangerous!" 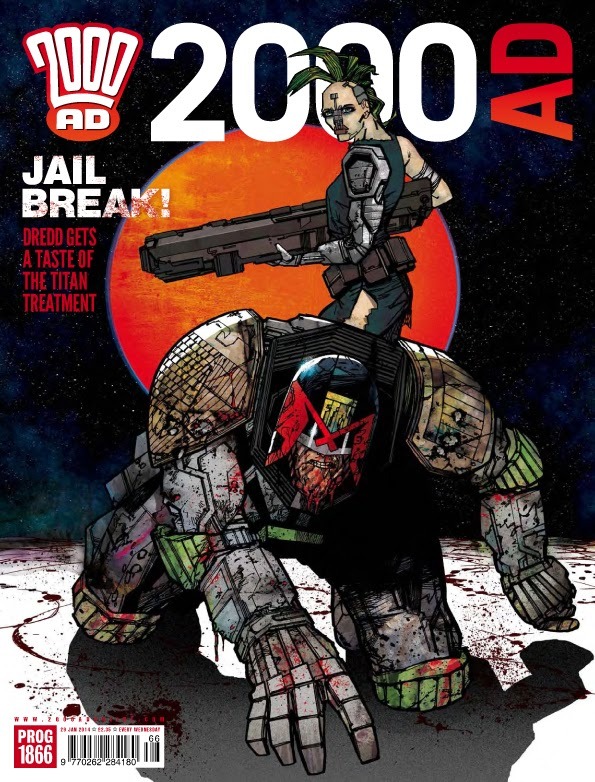 When contact is lost with the prison Hershey sends Dredd to find out why. 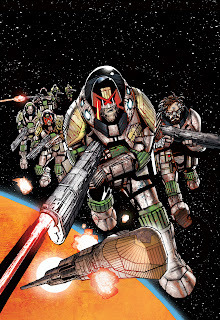 Of course, she doesn't send him alone and Dredd is accompanied by a crack team of Space Marines supervised by their brash commander Austin (far left on the cover;) SJS Judge with a grudge Gerhart and disgraced ex-warder of the facility, ex-Judge Mcintosh. Sounds like a recipe for disaster! Over to Henry to tell us about the cover "I tried a weird method on this, which was the same method I used this years 2000ad free comicbook day cover..." Hopefully, I'll have more on this soon! "After inking the covers they were scanned. Then, I fully painted over the original inks in acrylics pretty much destroying them, deliberately going over the black lines. 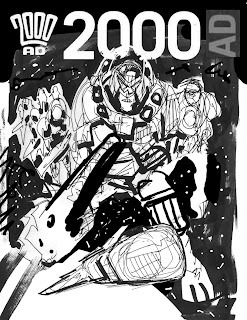 Once I'd scanned in the painted covers it was a matter of using photoshop to add the black inks as a separate layer over the top." 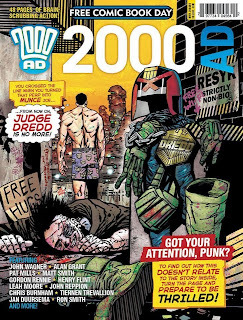 Out of Earth's jurisdiction, Dredd was able to urinate in public without reprisals. "The acrylics didn't scan very well so they were livened up with various controls on Photoshop. The method proved to be very time consuming and destroyed the original so don't think I'll be doing it again in the future." Well, as a punter the colours are ace so it was worth the effort. I'm sad that the origin inks were sacrificed though! And here's how it looks on your shelf, good punnage from Tharg there! HUGE thanks to the lovely droid that is Henry Flint, I'm really enjoying the story up to now and can't wait to see where it goes. I wonder if Sinfield is implicated?